Do you like watermelons as much as this man? 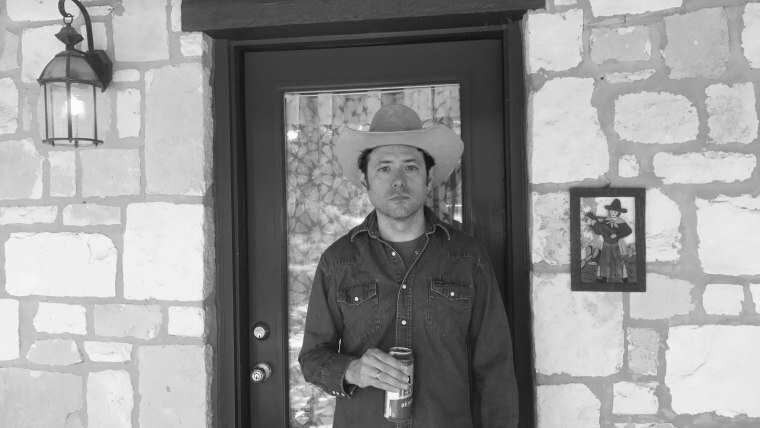 This Jerry David DeCicca tribute to watermelons is pure cowboy gospel. In a hard start of the year, Jerry David DeCicca's beautiful forthcoming album, Time The Teacher, has provided me so much comfort and relief. The songs, about lazy rivers and woodpeckers and not going outside today, have spare lyrics and heavenly orchestration, all piano, bass, guitar, and gospel choir. "Watermelon, watermelon / Pink as the sunset, green as the garden / Reminds me of your smiling face" — I want to lie down, finally in a good way again. Based in Bulverde, Texas, DeCicca is a social worker, the former leader of The Black Swans, and a producer of records for Drag City and Tompkins Square. As a listener, I find his solo album a remarkable feat of empathy, so tender and calm, and always a quietly good cheer. "I wrote this song on acoustic guitar with a picking pattern not unlike a Mississippi John Hurt song," DeCicca told me about "Watermelon," debuting today at FADER. "I've always loved songs about food, especially fruits and vegetables. They're so easy to take for granted, though such a lovely treat, so delicious and cosmic. P.S. I once entered a watermelon seed spitting contest. I practiced for weeks, but when it was my turn in line, I literally choked. I swallowed the seed and was disqualified. That verse didn't make the song — too dark!!" Pre-order Time The Teacher here.